An opportunity to fly high the Breitling colors. The American Tour 2015 took off on Tuesday April 21st at the Sun ‘n Fun Airshow in Lakeland, Florida. 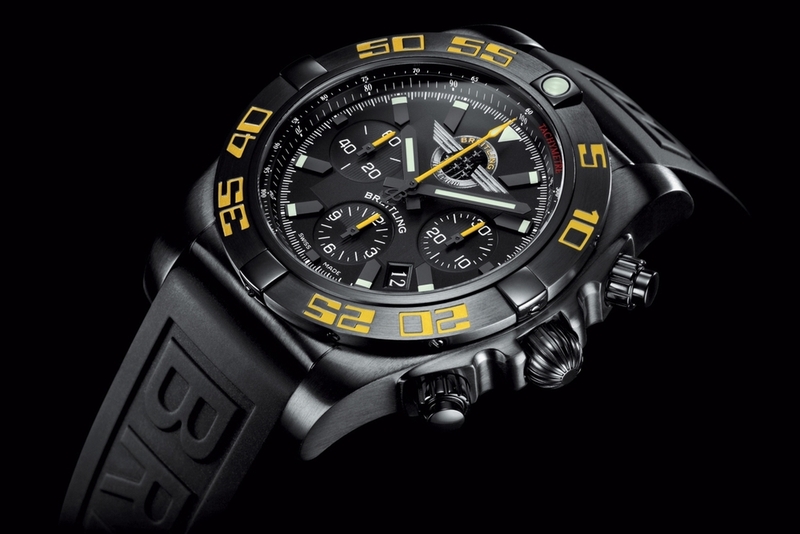 To celebrate the event, Breitling has created an exclusive version of its famous pilot’s Chronomat chronograph. 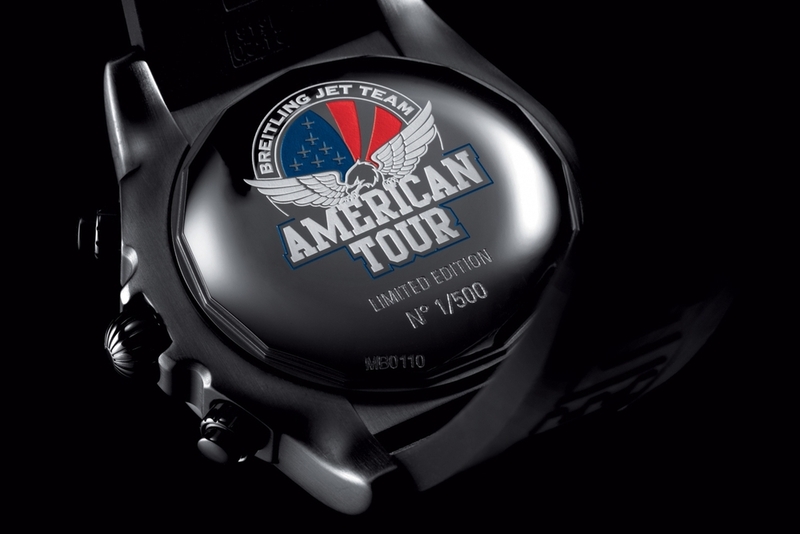 Issued in a 500-piece limited series, this Chronomat 44 Breitling Jet Team American Tour Limited Edition makes a striking impression with its black steel case, case-back engraved with the official logo of the American Tour, black dial with the team logo and rotating dial with yellow rubber-inlaid numerals, reprising one of the team’s colors. This is an authentic instrument for professionals, brimming with a blend of performance, daring and precision – just like the Breitling Jet Team itself.